Internal medicine covers a broad spectrum of illnesses in the horse. 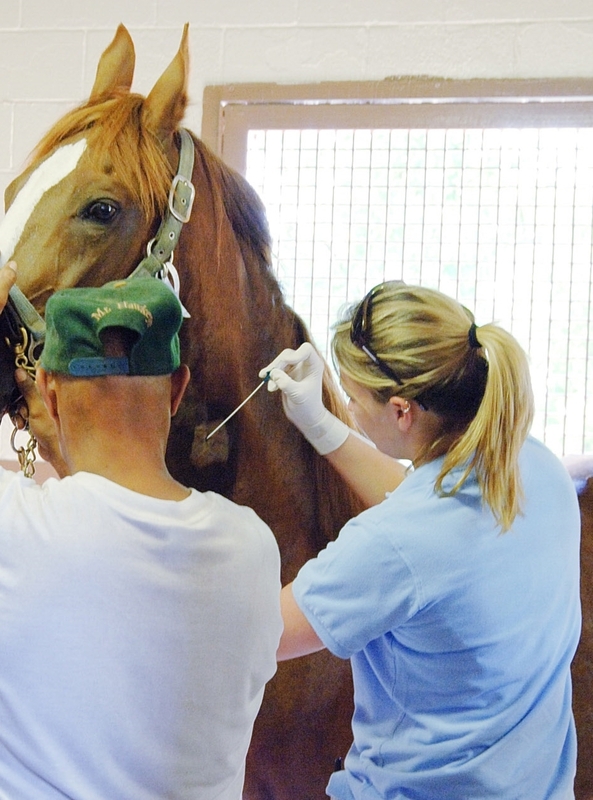 Our expert medical staff is equipped to diagnose and treat ailments ranging from botulism to pneumonia in foals. We are fully prepared to diagnose and treat even the most unusual diseases and ailments encompassing neurological, gastro-intestinal, vascular and respiratory problems. Our diagnostic tools include a full in-house laboratory, endoscopy, ultrasound, radiographs and MRI. Treatment capabilities are far reaching and include the latest and most effective pharmaceuticals, 24/7 observation, treatment and stall side oxygen. Hoist capabilities make it possible to sling a horse who is unable to stand on its own due to a variety of neurological disorders. The attending clinician will be able to give a pragmatic and sympathetic treatment plan based on the individual needs of the horse and owner.